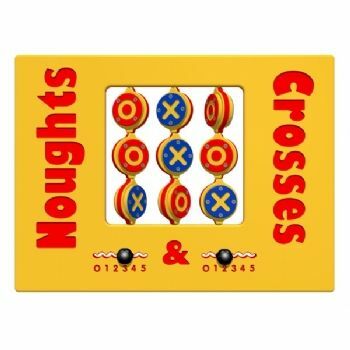 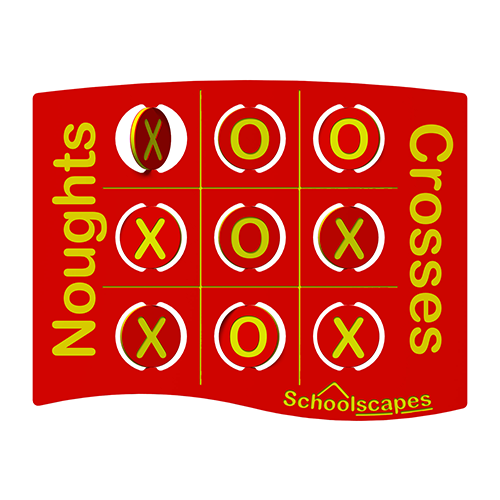 The Chunky Noughts & Crosses Panel features rotating blocks and score sliders. 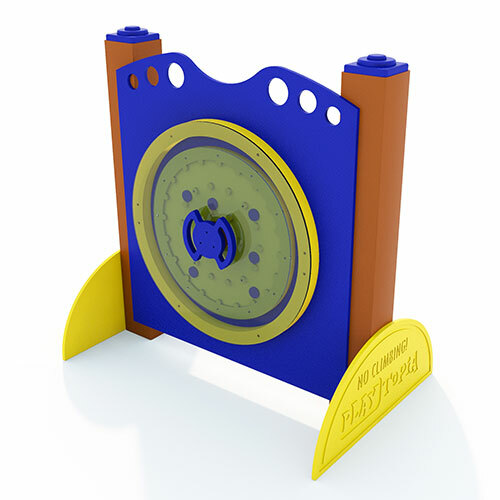 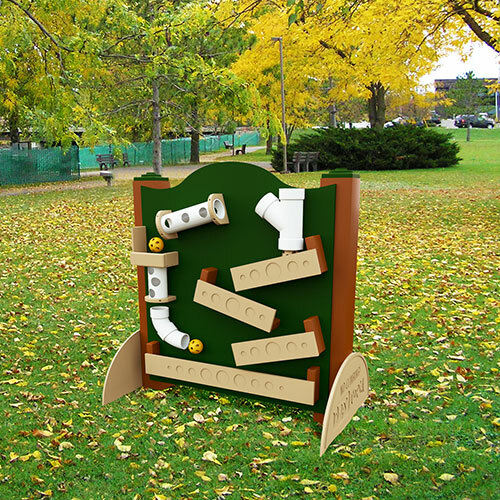 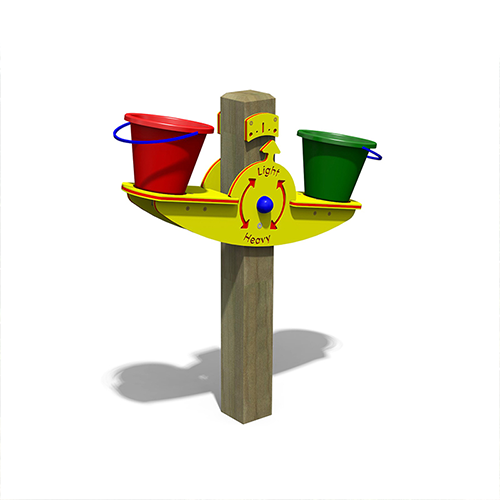 Great mounted between posts or as part of an activity center. HDPE panel construction. 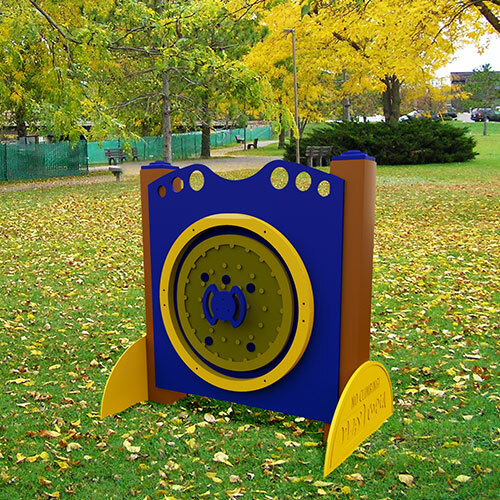 Yellow/Red main panel and contrasting OXO spinners.